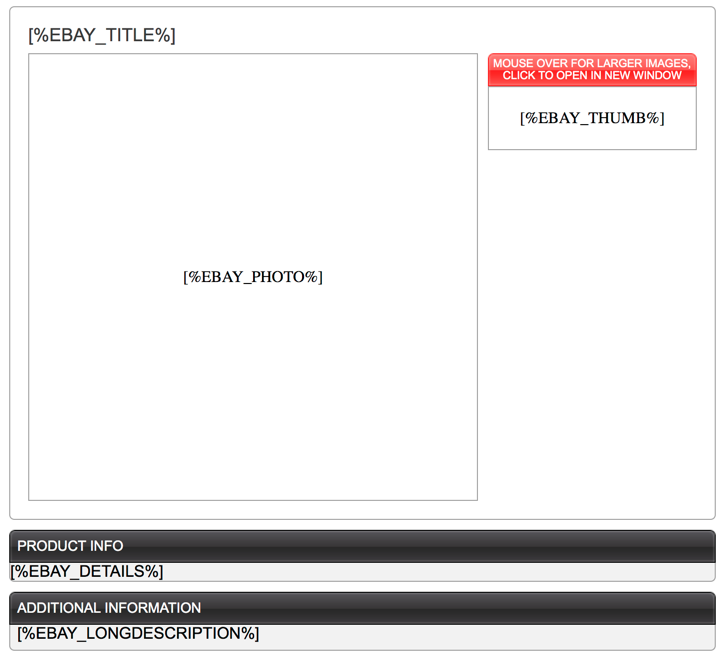 This guide will explain how to build your eBay template so that it can read the SureDone database and automatically fill in your product information. It will then tell you how to install that template into your SureDone database so that you can use it on your listings! 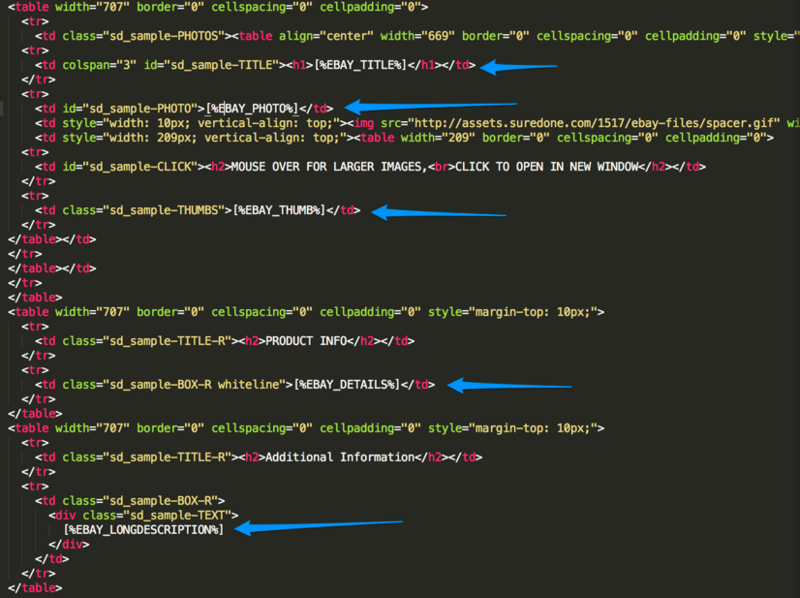 In your HTML file, you will need to add the tags listed below in their corresponding position in the template. You can use whichever ones you would like based on your needs. All that needs to be done is insert the tag where you want that text to appear. You can use any field available in SureDone within your template by using data tags. Any existing header within SureDone can be used within the template. A list of all the bulk headers can be found in the bulk template file which can be downloaded here. It is recommended that once you are happy with the way everything looks that you install the template and test it on several listings from SureDone. To do add the template, follow the steps below. 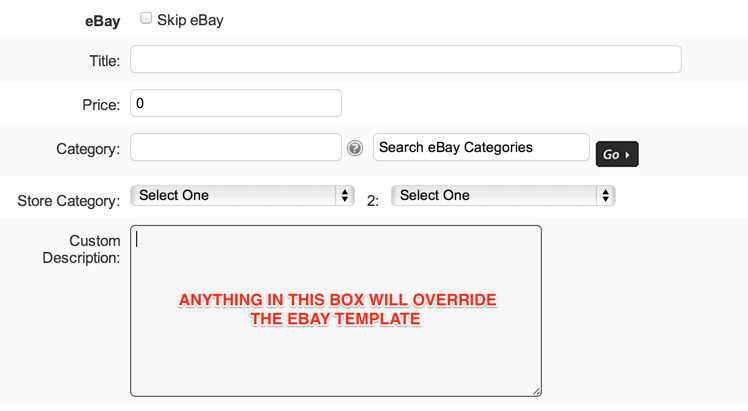 *Note: Anything inside an item’s eBay description field will override the template.